Australian pop singer who was nominated for an Icon of Tomorrow Award at the 2010 J-14 Teen Icon Awards. He was discovered by a record producer after uploading covers of "I'm Yours" and "I Want You Back" to YouTube in 2009. In 2012, he won the 2012 Kids' Choice Award for Favorite Aussie Superstar. 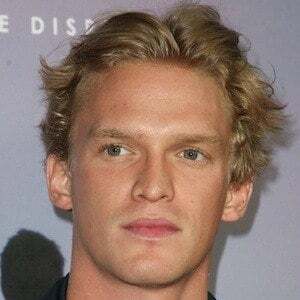 He was raised by Brad and Angie Simpson and has younger siblings named Tom and Alli. He dated Sierra Swartz in 2016. His debut single, "iYiYi," was released in 2009 and featured rap artist Flo Rida.